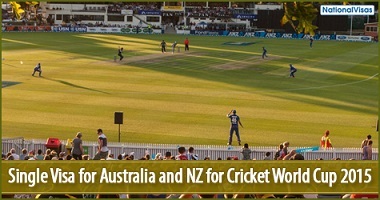 Australia and New Zealand have visa requirements for a single visa for Cricket World Cup 2015. The representing organisations from Australia and New Zealand made the announcement a few months ago that cricket fans will only need to secure one Australian visa to watch the games in Australia and New Zealand. The host countries have divided the staging of the 49 matches, where 26 will be held in 14 venues in Australia, while 23 will take place in seven cities in New Zealand. New Zealand will accept Australian visas for the duration of the tournament, visitors from countries like India and Pakistan will only have to apply and pay for one Australian visa instead of two. It also means they only have to go through a single visa process, saving time and reducing hassle. There is a precedent for a scheme like this. The 2007 Cricket World Cup was held in the West Indies, a collection of 15 Caribbean nations that plays as one team in international competition. Rather than forcing visitors to apply for up to eight different visas to follow their team through the countries hosting the tournament, the hosts combined to create a special Cricket World Cup visitor visa that allowed entry to each country. What can you do to get your visa in time? I can’t stress this enough. As stated in another article, leaving your application until the last minute is a very bad idea. You can no doubt imagine the voluminous amount of ‘urgent’ requests the Department of Immigration receives at this time of year. Understandably they are not very tolerant of people’s lack of planning. What you may consider to be ‘urgent’ is not the same as what The Department considers to be urgent, so you may find that your application takes longer than you would have hoped. Another reason you need to get your application in as soon as possible is flights. 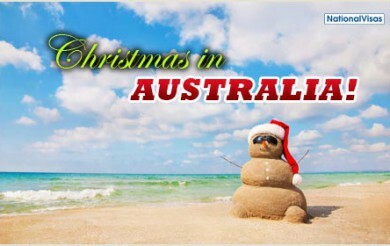 The longer you leave your flight booking the more expensive the flights become as it gets closer to Christmas. National Visas (and the Department of Immigration) never advise buying a flight before you have your visa because there is no guarantee that your visa will be approved, let alone by the date you have booked your flight. So – get in early. It’s the only way to really maximise your chances of getting your visa in time. Which visa is for me and how long do they take to process? If you are eligible for this fast processing online visa – fantastic, you will normally have the visa within 24 hours of purchase. 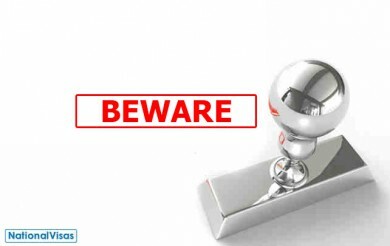 But it is best to apply as early as possible in case there are processing issues, which happen from time to time. An ETA visa is normally valid for multiple visits within 12 months from date of issue. The maximum length of each visit is three months. This visa can also be a very fast processing visa, but it really depends on your country of passport. Some countries can obtain this visa quickly whereas other countries (for example Romania) are normally asked to provide documents. The processing time is normally 2 weeks, but at this time of year I would allow at least 6 weeks. The e651 (or e-Visitor) visa is valid for multiple visits within 12 months. The maximum length of each visit is three months. This visa can also be a very fast processing visa for some countries, but again it depends on your country of passport. 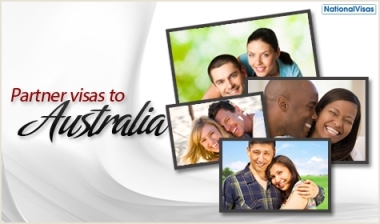 Some applicants can obtain this visa quickly with little or no documents required. However, depending on the length of your intended visit and the country of passport you may be asked to provide documents. This can therefore take longer to prepare your application. The processing time (once we lodge the application) is normally 1-2 working days for lower risk countries, and 4 weeks for higher risk, but at this time of year I would allow at least 6 weeks if you are in the higher risk categories. If you decide to use our services we can advise if you are in the higher risk categories, or if we can get your application done quite quickly with few (if any) documents. The e600 visa is valid for multiple visits within 12 or 24 months from date of issue, depending on the country of your passport. The maximum length of each visit can vary from 3 to 12 months. Not all applicants can apply for a visitor visa online. Many countries must make ‘paper’ or ‘hard copy’ applications. If passport nationality is not one of those which are eligible to apply for an online visitor visa, you are required to lodge a manual (paper) application. If this applies to you, you can purchase our Visa Information Pack online. This will provide you all the details you need to prepare and lodge a successful visa application yourself, using our Visa Guide to help you understand what to do. You can expect processing times at the embassy for these applications to normally take 1-4 weeks, but at this time of year expect 4-10 weeks, depending on the embassy. There are now over 100 countries that can apply for one of the online types of visitor visas listed above. To determine your eligibility for an online visitor visa the place to start is to take a free online assessment on our website. This only takes 2-3 minutes. From there our website will determine which is the most appropriate visa for you and you will then be provided service options to proceed. To see if you are able to apply online you can start the process here.